Autonomous vehicles present numerous advantages for deep-pocketed companies, hence the race to bring them to market. Some of the notable vehicles with autonomous features include Tesla's Model 3 and the Audi A8. These companies and their competitors are all hoping to become the first major player to provide a competitive autonomous solution due to the immense economic potential. The biggest benefit for society is the potential decrease in road accident rates. It’s estimated that 90% of the 1.2 million car accident deaths around the world are caused by human error and despite the recent fatality involving a Female from Arizona and a Self Driving Uber, driverless technology is still considered to be the future of safe driving. Furthermore, traffic flow improvements can be made as autonomous vehicles reduce the cumbersome nature of stop and go waves. This is true even if only 5% of vehicles on the road are autonomous. However, for all the promise that autonomous vehicles show, there are some serious problems to address, cyber-security being one of the most serious and urgent concerns among them. For autonomous vehicles to function, communication with an outside network is required. This allows cars to communicate with one another and with central nodes to ensure that traffic flow is optimized, and chances of collisions are minimized. Unfortunately, whenever a system is interfaced with a network there is a risk of hacking. Nowadays typical cars have around 100 million lines of code and over 100 ECU’s (Electronic Control Units). When a hacker gains control of a car they can access the critical functions like the brakes and engines making it nearly impossible to prevent harm once a cyber-criminal has gained access. A dramatic illustration of this took place when a hacker took control of a Jeep Cherokee traveling 70mph as part of a research test to see how easily an autonomous vehicle could be hacked. The experiment showed that gaining control of the functions of a car equipped with self-driving software is relatively easy and subsequently the incident caused Chrysler to withdraw 1.4 million vehicles. Key automotive companies have started to pay serious attention to the potential hacking threat. For example, General Motors, Fiat Chrysler, and Tesla have launched bug bounty programs where rewards are given for finding security flaws in the software of the car. Soon, freelance coders will be able to build a career by finding these software flaws and collecting on the bounty. It is also likely that new jobs will be created by these automotive giants to assist directly in finding and fixing bugs. Furthermore, many different start-ups are being formed and there is a lot of investment activity in this new industry, Cube Intelligence, of course, being one of them. Cube is leading the way in the research and development of autonomous car security systems using blockchain, artificial intelligence, and quantum hash cryptography to create a secure product that gives the consumers peace of mind. The CUBE system will continuously improve the security of the vehicles on the platform by providing Over-The-Air (OTA) software updates, by learning from threats as they do occur and updating the system to increase protection, and by recognizing and rejecting unauthorized code. Security services including and similar to CUBE will process information that is sent to autonomous vehicles to verify that it is unchanged. OTA updates will be sent to the driver to keep them up to date on the cyber-security status of the car. OTA, using blockchain to ensure the security of the data transmission, will also be used to keep the car up to date with the latest security patches. Therefore, some cyber-security professionals may have a role as a customer service assistant, which would involve communicating with the driver to run real-time diagnostics and give them more information on potential problems. As an increasing number of cyber-security companies begin to gain momentum, the number of job opportunities for programmers in this field will also increase. Further down the line, some of the jobs created may require workers to monitor fleets of autonomous vehicles in real time and be ready to respond to a hacking event. Currently, the only hacking events to have taken place regarding autonomous vehicles are white hat research hackers. Little is known regarding how a real hacking event would unfold due to limited real-life data. As cyber attacks on autonomous vehicles become more of a reality and not just a likely occurrence to happen in the future, the way in which cyber-security professionals will be utilized to stop cyber-attacks will become more certain. While we do not know exactly what cybersecurity careers and training will look like in the future, they certainly will play a big role in ensuring that the safety of semi- & fully autonomous car passengers is not left to chance. After all, one of the key attractions of autonomous vehicles is the reduction in road accidents and therefore fewer fatalities. Cyber-threats are potentially multi-billion-dollar problems that could lead to large-scale recalls of vehicles that have security loopholes. 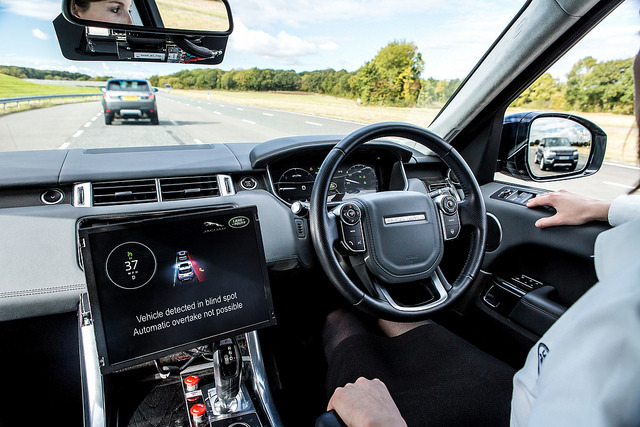 The rate at which technology is changing means companies must adapt, but the area of cyber-security is a tough high-stakes nut to crack with the lives of car passengers at risk. To conclude, it is reasonable to assume that the number of cybersecurity jobs will be relatively high. The shape that the industry will take ultimately depends on the way in which hackers will try to exploit the systems surrounding autonomous vehicles.